Oh, wow. Really? Who coulda figured that out. I mean, his profile says he is a Christian. Christians aren't supposed to lie or misinform are they? You do realize that only gullible people trust experts? You don't seem to be able to think for yourself. Is that what makes you an America hating leftist fascist? I define America by what it was designed to be by our founding fathers and not the perverted version of it that exists today thanks to people like you. I also guarantee you that I know vastly more about climate science than either you or your retarded brother username. Looks like somebody hit a nerve. You do realize that only gullible people trust experts? You don't seem to be able to think for yourself. Data sources: NASA's Goddard Institute for Space Studies, NOAA National Climatic Data Center, Met Office Hadley Centre/Climatic Research Unit and the Japanese Meteorological Agency. Cherry picked, and in the northern hemisphere!! baloney. Cherry picked, and in the northern hemisphere!! It says it is from Japan. Cherry picked and nothing else. It says it is from Japan. It says they averaged global temperatures. Cherry picked and nothing else. Strawberry picked and something else. And it doesn't show man being responsible for any of it. It is all part of nature. Yeah. It's kinda insulting when you accuse me of lying or somehow being delusional when I don't accept what your experts say at face value. I get pissed off at idiots who actually think they are the intelligent ones. No one is disputing it's gotten warmer the last few decades. What's in dispute is the cause. If you were attempting to show man is at fault with these graphs, you failed miserably. 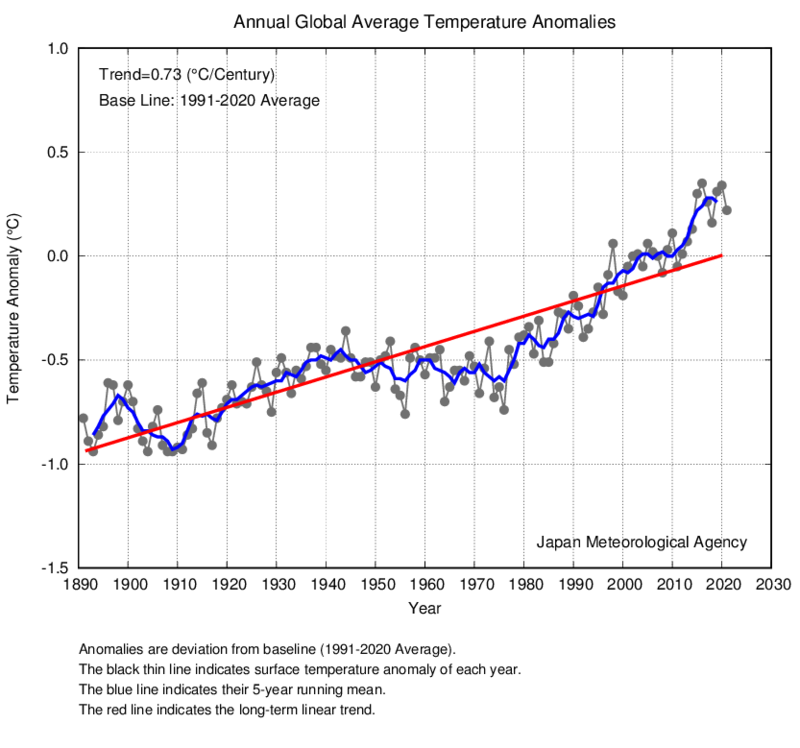 No one is disputing it's gotten warmer the last few decades. What's in dispute is the cause. So you mean you think we can spew greenhouse gases into the atmosphere without consequences? "[T]here are several greenhouse gases responsible for warming, and humans emit them in a variety of ways. Most come from the combustion of fossil fuels in cars, factories and electricity production. The gas responsible for the most warming is carbon dioxide, also called CO2. Other contributors include methane released from landfills and agriculture (especially from the digestive systems of grazing animals), nitrous oxide from fertilizers, gases used for refrigeration and industrial processes, and the loss of forests that would otherwise store CO2." What, then, is the cause? So what credentials do you have and why should anyone take your opinion seriously? Tell me what the experts said and let's see if they are correct or not. Anyone can call themselves an expert and so called experts don't know everything. And more importantly, many people incorrectly attribute claims to experts when those experts didnt mean what is attributed to them. By the way, I have scores of experts who disagree with your experts. Who are you to disagree with them?